Razor Kids Scooter is Lightweight: approximately 6 lbs. Razor A scooter weight capacity: 143 lbs. This scooter is very well built and was priced very reasonable. It is made of chrome steel with blue trim. High quality neoprene rubber tires. Easy to use rear braking system. Foldable for portability. Highly recommended. Great low price mode of transportation. 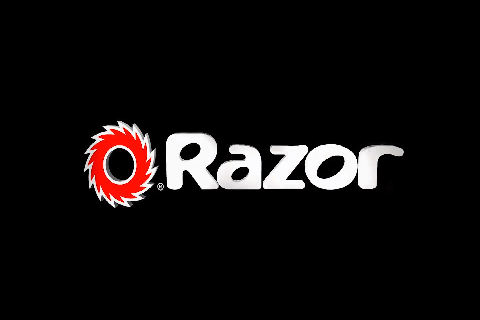 I bought 2 Razor A scooters for my kids 2 years ago. I just replaced them last week with 2 new Razor A scooters. The old scooters are still in such good working order that I started using one of the old scooters myself. Now I am 170 lbs that is in excess of the rated limit, but I have still had no issues of any kind with the scooter. I jump it off curbs, ride it hard and even with my weight in excess of the marked weight limit the scooter is holding up perfectly. 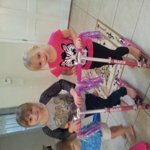 Great Scooter for 6 year old girl! Bought as a birthday present for a somewhat awkward six year old girl. She absolutely loves it! She loves the color, loves the bell! Interestingly enough, she did not care for the tassles and cut them off...but everything else about the scooter has been perfect. 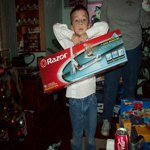 I remember my son rode his first Razor until he had more than outgrown it, so I am sure she will continue to ride it for many years! Comes with a little thumb-operated bell and pink/purple streamers on the handles. If you're a 5 year old girl, what's not to like? Three-wheel scooters for little kids are easier to start on, but my daughter has seen bigger kids and stunt riders do everything on similar two-wheelers, so she's willing to learn to ride a "real" scooter, and shes' the cautious type - she uses training wheels on her little bike. Build quality looks excellent. Smooth welds, great paint, adjustable handle height and non-skid decal on the footboard. It's lightweight and folds up for easy carry or fits easily in the trunk of a very small car. This is handy if you don't know what play options might exist at your destination. It's so much smaller than the smallest bike, you can take it along just in case. I have no idea how they can make something of this quality and deliver it for $25 with in-store pickup. Both I and my wife tested it for sturdiness, and I'm over 200#, so this scooter is solid. This Razor is pretty cool. It has the tassels hanging from the bars, how cool is that! It's PINK and adjustable. She wore out her other one and requested a new one for her birthday and this was the perfect choice. 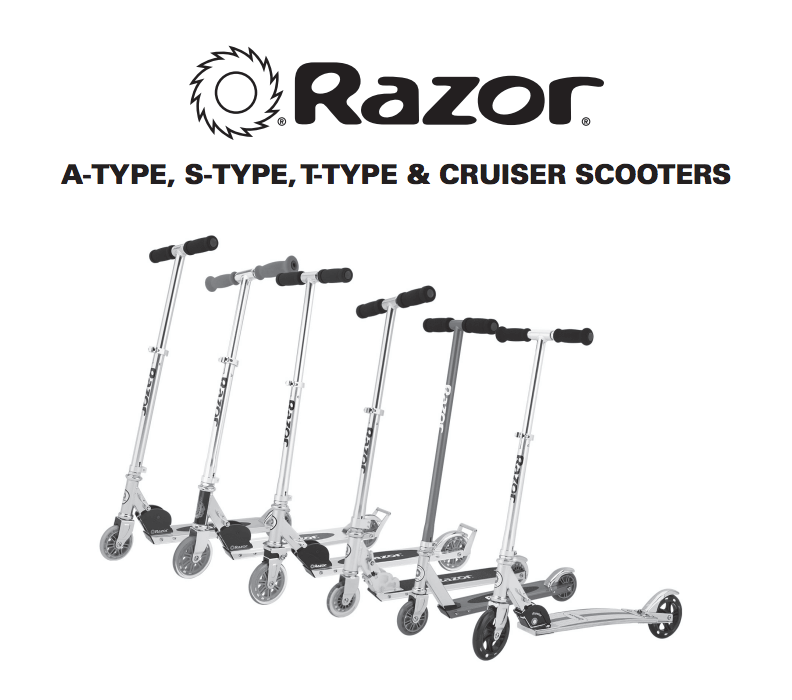 I Highly recommend Razor brand scooters, they are worth the $$. My five year old son loves this scooter! I like that the scooter can be adjusted as my son grows so that he can use this scooter for a long time. I also like how the scooter can be folded for easy storing. Ride is very smooth with the bigger wheels. This scooter is perfect for adults who want to have their own scooters. My granddaughter loved this scooter. It was the perfect pink color and with all the accessories, it was a huge hit! 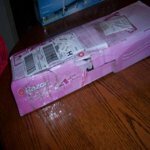 I purchased four razor scooters from Walmart on-line. They were an excellent price, the website was easy to use and the shipment time was great. 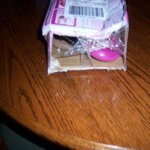 The only problem I had was the way the products were packaged to ship. They were shipped in the box the manufacturer packaged them in, that would normally be placed on the shelves at the store. This was clearly not shipping material. As a result, the boxes were ripped and one of boxes was ripped open and the end piece of the box was missing. Thank goodness the scooters weren't damaged. These are Christmas presents and I am now trying to come up with an idea on how to repackage them so they look presentable. I have attached photos to show what I am talking about.